Welcome, reader! Or should I write: Welcome user? Either way, it may be possible that you won’t be able to read this at all: Without the help of Alan Turing the invention of modern computers may have been quite different. Even if you are not a mathematician you may have stumbled upon Alan Turing and you may connect his name with the Enigma. A machine that Germans used to encrypt their messages during World War II. and nearly helped them win that war. Of course this is the story of the Comic book “Alan Turing Decoded” by Jim Ottaviani and Leland Purvis which I think can be seen as a summary of Andrew Hodges’ “The Imitation Game” – at least this is what came to my mind when I enjoyed reading it and of course I thought of the film, too (sorry, fangirl here). But the book also brings that brilliant man Alan Turing (of course he had lots of helping hands back in World War II in Bletchley Park) to life who always was a bit awkward and different compared to others. He ran miles on end, wore a gas mask as a prevention from hay fever, chained his mug to his heater in his office at Bletchley Park – and he was a homosexual when this was illegal in Great Britain. Sadly enough he was prosecuted for that – a treatment that may have been the reason why Alan took his own life. Though the circumstances are still unclear as Jim Ottaviani writes in his author’s note. Of course this beautiful made comic book isn’t a documentary or biography on Alan Turing, so readers shouldn’t take any word or any picture as a historical fact. But it is a lovely way of getting the story of Alan Turing out to readers who don’t want to be bored by huge books with endless footage and bibliographical lists (although there are a few in this 232 page hardcopy, too) – but being entertained and touched by an intriguing life story with a tragic ending. 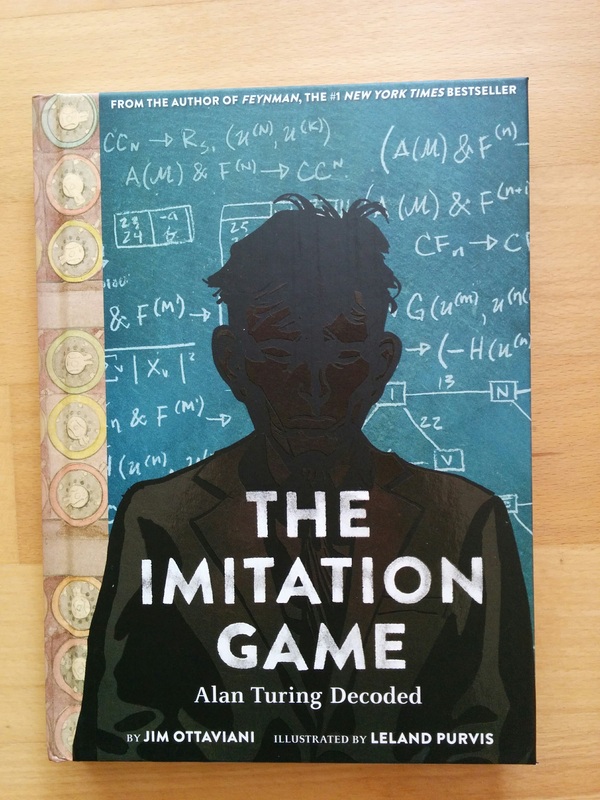 Jim Ottaviani, Leland Purvis (Illustrations): The Imitation Game, Alan Turing Decoded. Abrams, round 24$, £16, €16. You may find more on Alan Turing on my blog – some of them are in German.